More than half million HappyOrNot Smiley Terminal™ feedbacks collected in less than a year and the vast majority have been positive! West Palm Beach, FL and Columbus, OH: Enhancing guest experience is a top priority for the Greater Columbus Convention Center (GCCC) and installing the HappyOrNot service has helped the venue improve and retain high levels of guest satisfaction. With just a touch of a button, attendees instantly rate their experience in GCCC’s restrooms by selecting one of four Smileys depicted on HappyOrNot terminals. The GCCC recently expanded its HappyOrNot Smiley Terminal service to include the Real Time Alert feature. During the feedback collection process, if the number of negative responses reaches a pre–set level within a given timeframe, an alert is triggered, and an email is instantly generated and sent to designated team members for immediate inspection and resolution. This enhanced service further supports the staff’s commitment to keeping attendees happy. 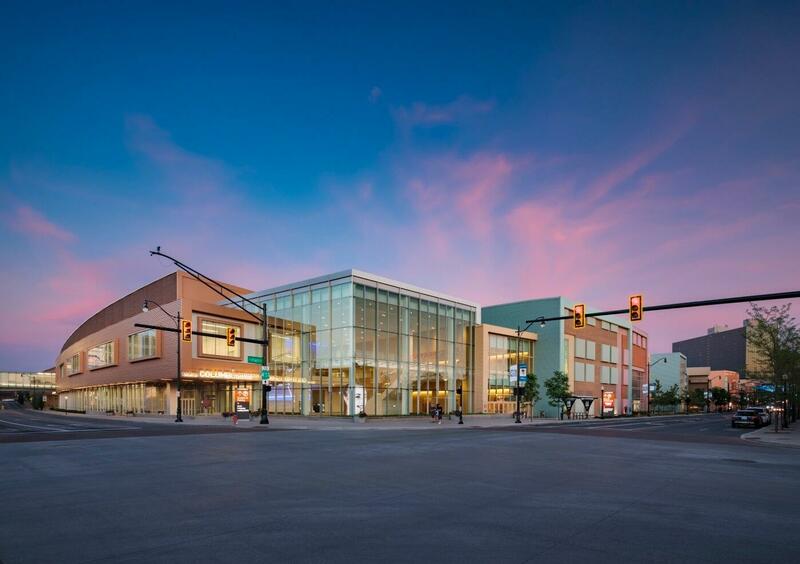 The Greater Columbus Convention Center is located in downtown Columbus and owned by the Franklin County Convention Facilities Authority and managed by SMG. The $140 million expansion and renovation of the facility was completed in 2017. HappyOrNot was founded by Heikki Väänäen and Ville Levaniemi. The company has more than 4,000 clients in 117 countries. Clients include Microsoft, McDonald’s, London’s Heathrow Airport, LinkedIn and Levi’s Stadium, the home of the San Francisco 49ers. HappyOrNot is considered the global leader in instant customer and employee satisfaction reporting. HappyOrNot assists companies in improving customer experience, relationships and engagement across all business sectors. Founded in 1977, SMG provides management services to more than 230 public assembly facilities including convention and exhibition centers, arenas, stadiums, theaters, performing arts centers, amphitheaters, equestrian facilities, science centers and a variety of other venues. With facilities across the globe, SMG manages more than 15 million square feet of exhibition space and more than 1.5 million sports and entertainment seats. As the recognized global industry leader, SMG provides venue management, sales, marketing, event booking and programming, construction and design consulting, and pre-opening services for such landmark facilities as McCormick Place & Soldier Field in Chicago, Moscone Convention Center in San Francisco, Houston’s NRG Park and the Mercedes-Benz Superdome in New Orleans. SMG also offers food and beverage operations through its concessions and catering companies, currently serving more than 140 accounts worldwide.